Aqua Forest Aquarium, an aquarium store in San Francisco and North American distributor of Aqua Design Amano equipment, has a new type of moss available for order online. It's listed as Rhacomtitrium canescens, but a quick Google search only finds results for Racomitrium canescens, so I'm assuming this is just an alternative spelling or a typo, since the two are so similar. 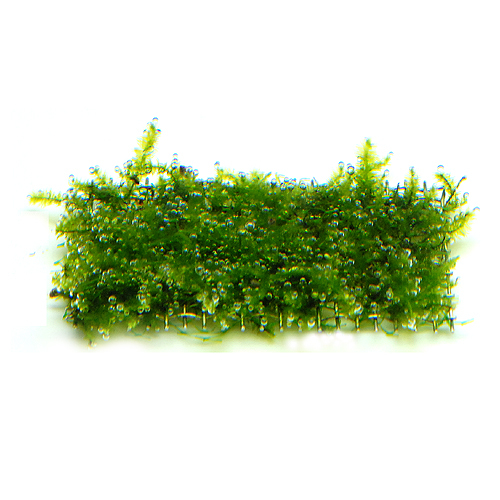 The Google images though do appear quite different to the one above from the AFA website, so I'm still not quite sure what this moss really looks like or how it behaves in the aquarium. The moss is apparently (according to AFA) a very eager photosynthesizer and produces lots of oxygen bubbles under the right conditions. For aquatic moss aficionados and collectors, any new aquatic mosses available are exciting and I'm seriously debating a larger moss aquascape to make some room. Anyone tried growing this moss before or have any additional pictures of it in an aquarium?